You and your busy brood will find bundles of year-round fun at JumpinJax in Paramus, NJ! Colorful, playful, and filled with fun, this unique new early learning center hosts open play, kid's birthday parties, and summer camp all in one great location. JumpinJax has a lot to offer both parents and children! If you're a mom or dad seeking a welcoming day or preschool, you'll love our engaging curriculum for infants through pre-K, which is influenced by Gifted and Talented programs. If your child has a birthday just around the corner, they'll love exploring our extraordinary indoor playground with friends on their big day. Open Play at JumpinJax includes plenty of time to jump, crawl, scamper, and scoot on our safe play equipment. Mom gets a break while kids exercise their gross motor skills on a rainy day. Now that’s a day that’s fun for everyone! JumpinJax is also proud to offer ten weeks of fun summer camp programming. Themes like Lost at Sea-Pirates, SuperKids-Super Heroes, and Creepy Crawlers-Bugs, promise children hands-on adventures and friend-making opportunities along with immersive lessons to keep kids' academic skills strong. Sign up for one week, all ten, or anything in between. Now that you know about the coolest place for fun kids' activities, what's stopping you? Call (201) 261-3000 to learn more about this fantastic multi-use play center or email them at info@jumpinjaxkids.com Bring the whole family to join in the fun at JumpinJax today! Just be sure everyone brings socks so all can join in on the family fun! Spend Father's Day with this Family Fun Special! Come to Our Preschool & Summer Camp Open House! Preschool & Summer Camp Open House! Check out the Best Kids Camp in Bergen County! Your Child will have a blast at our Summer Kids Camp! Register Today! Preschool & Daycare Programs your Child will Love! Family Fun Kids Activities at JumpinJax! JumpinJax: the Greatest Place for Kids’ Birthday Parties! Need a Daycare or Preschool? JumpinJax has programs to accommodate you! Birthday Parties, Preschool, Kids Camp, Open Play & more here at JumpinJax! Registration open for JumpinJax Kids Camp! 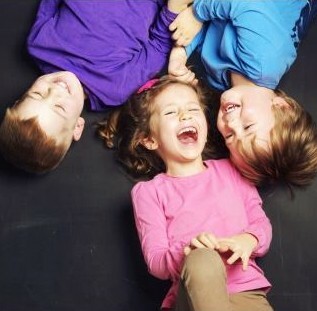 JumpinJax: where Birthday Parties & Family Fun come Stress-Free! JumpinJax will close early if there is a Private VIP Party booked on the weekends. Check our Facebook for closings!